Amidst political temperatures running high across US, as almost everyone has begun to “feel the bern”, Hillary Clinton eked out a razer thin victory in Iowa which was supposed to be her stronghold. Senator Sanders is like King Leonidas of Sparta who said to the messenger that “the world will know before this battle gets over that even god-king can bleed”. From being unelectable to media circles talking about who the VP candidate of Bernie Sanders going to be, he has indeed come a long way. But we don’t have to wait for primaries to get over to have an answer to this question, two recent developments have confirmed that it’s going to be Senator Elizabeth Warren from Massachusetts. In a recent interview with Wilmore on a Nightly show, Senator Sanders hinted that Elizabeth Warren has been his long-time friend and has consistently stood against big money interests and Wall-street. If this was’nt enough, Senator Warren wrote an article in New-York Times a couple of days ago, where she emphasized how executive actions and an ability to vigorously enforce laws could have a major impact on the lives of American people, without even introducing a single bill in Congress. She further expressed her outrage at the economic elite getting away with broad day-light robbery while innocent Americans lost their homes and livelihood. She is clearly indicating her tacit support for Senator Sanders as he has vowed to break up big banks, while Hillary Clinton received millions of dollars as donations from the same financial institutions she is advocating punitive action. It makes perfect sense for Senator Sanders to pick her as running mate due to political synergies, and it’s an ideal platform for her to push her policy ideas. 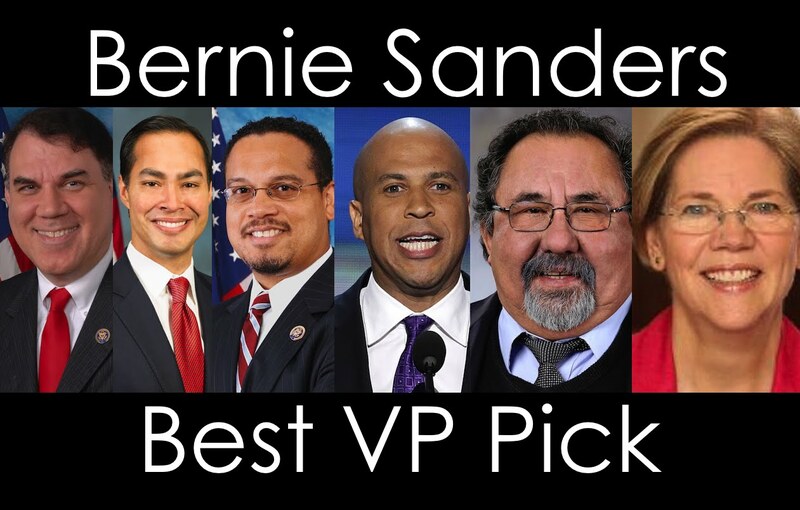 As VP, she will have executive authority to implement her ideas, and she would be poised to launch her presidential campaign where Bernie is done.